The name Rojas means "red," and Richard means "powerful." Richard Rojas caused a great flowing of blood on May 18, 2017, in Times Square, New York City. 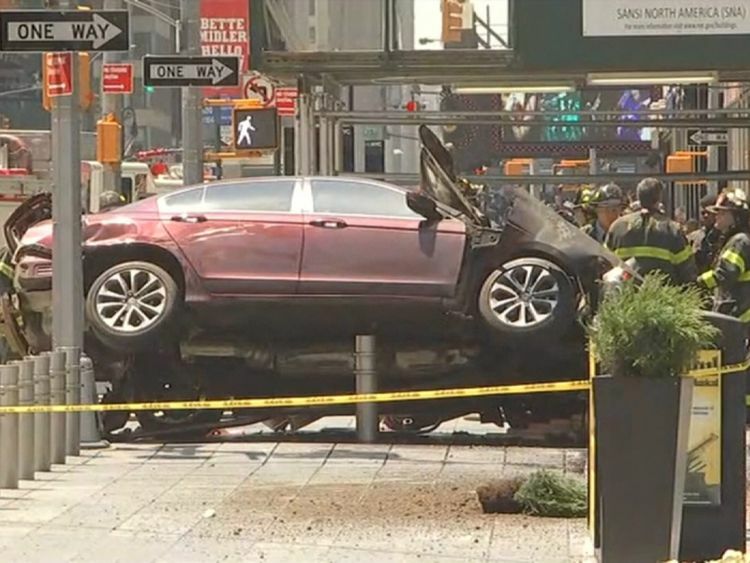 The Navy veteran, wearing a red shirt, suspected of driving his car into pedestrians in New York reportedly told police he had been hearing voices at the time. Rojas enlisted in the US Navy in 2011 and served on the destroyer USS Carney in 2012. 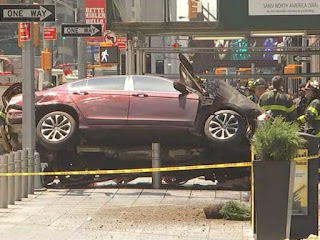 Richard Rojas, 26, is accused of steering his car onto the pavement in the heart of Times Square, driving for three blocks and hitting 23 pedestrians along the way. One of them - an 18-year-old teenager - died. Identified as Alyssa Elsman of Portage, Michigan, she was killed in the ramming. (A-lyssa = "not insane" + Elsman = "oath to god man.") Her 13-year-old sister was among the injured. Rojas then ran from his vehicle waving his arms before being tackled by members of the public, including a ticket seller and a security guard at a Planet Hollywood restaurant. Initially, there were fears the incident had been a terrorist attack but investigators discounted that and are focusing on Rojas's sobriety and mental health. 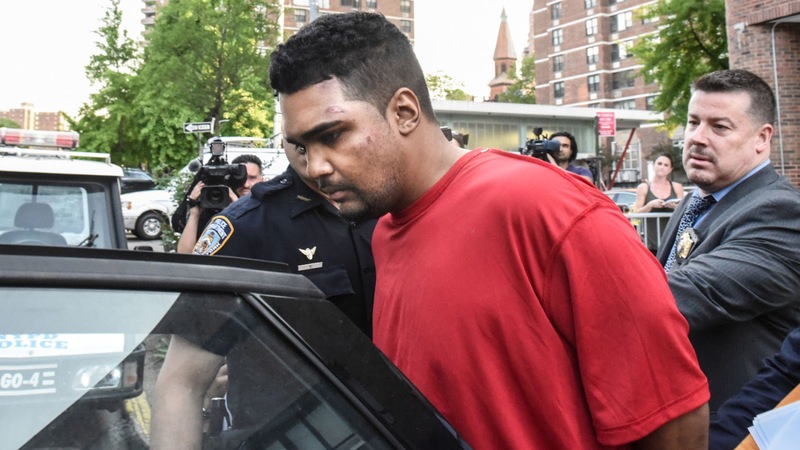 Rojas, who lived in the Bronx, said he was hearing voices and had expected to die. He tested negative for alcohol but it is understood that he is also undergoing tests while in police custody to see if he had taken drugs. No terrorism. No OUI, as first reported. Yes, voices.